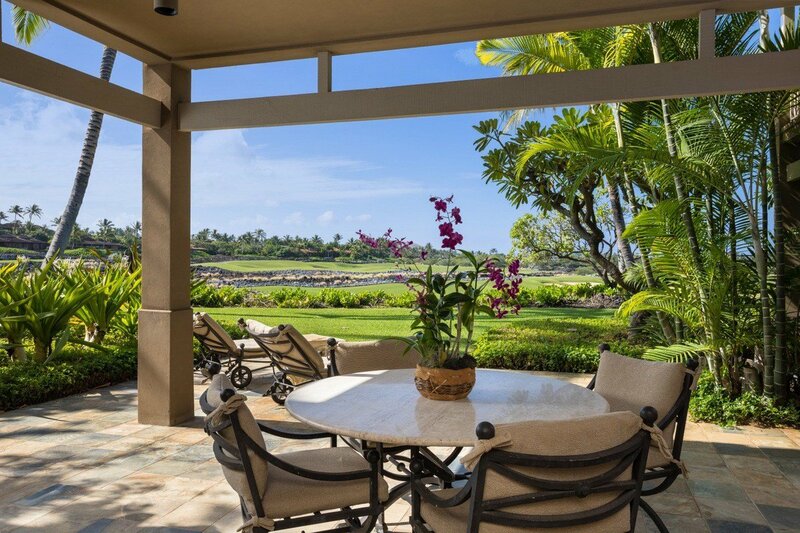 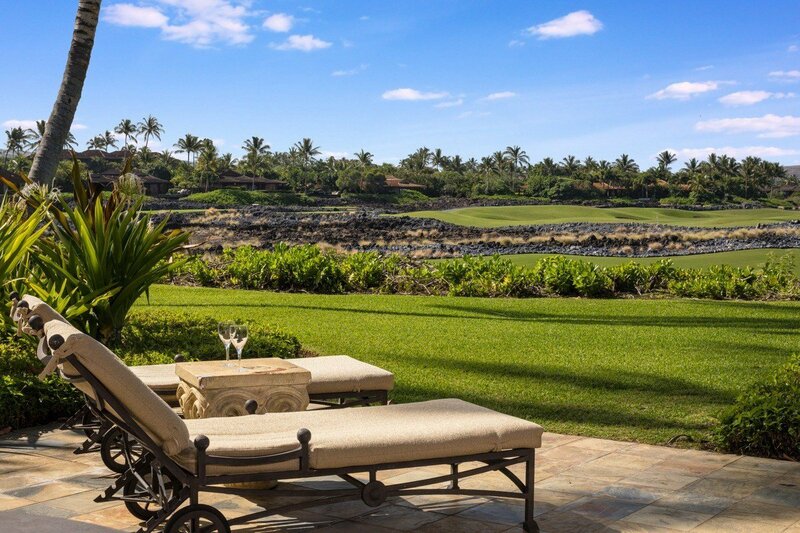 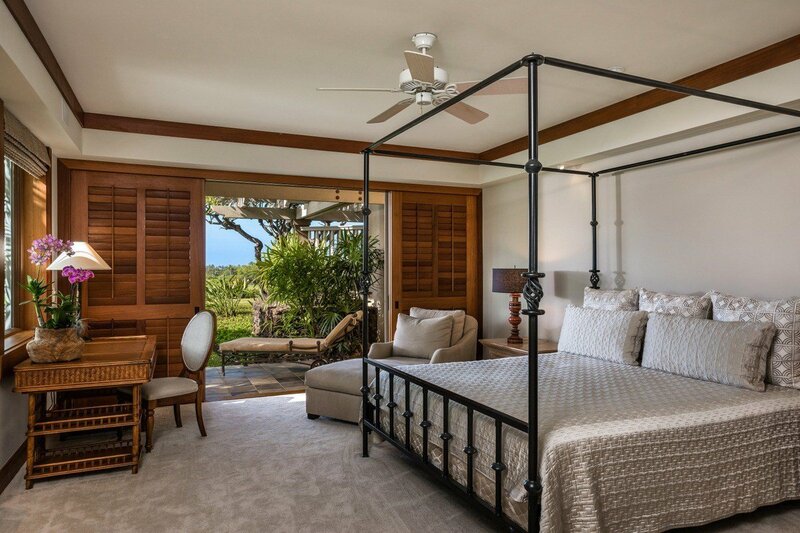 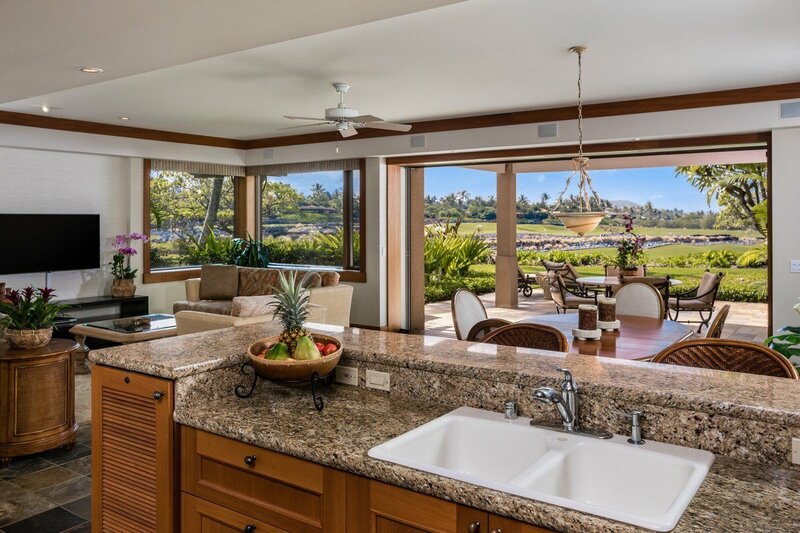 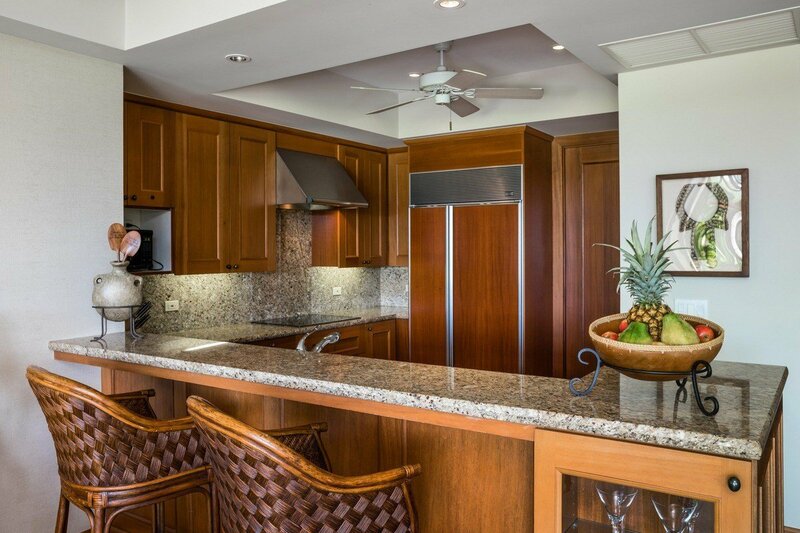 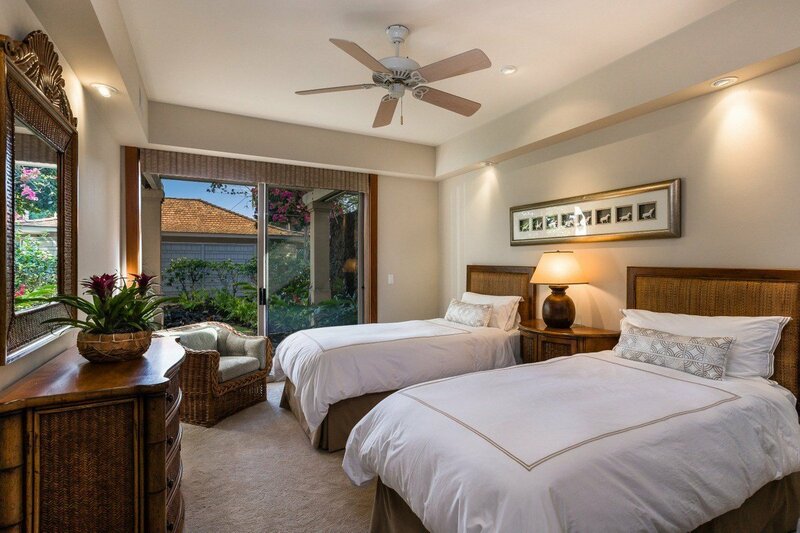 HUALALAI RESORT, Waiulu Villa 119A: This highly desired, garden level corner villa sits elevated above the 5th fairway of the Members’ only Ke‘olu Golf Course. 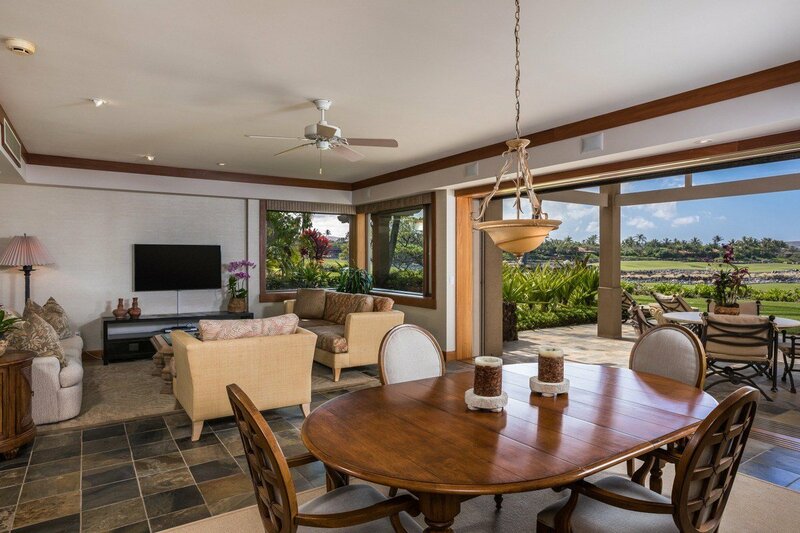 Large pocket doors connect the indoor areas with the outdoor space, leading to the covered lanai. 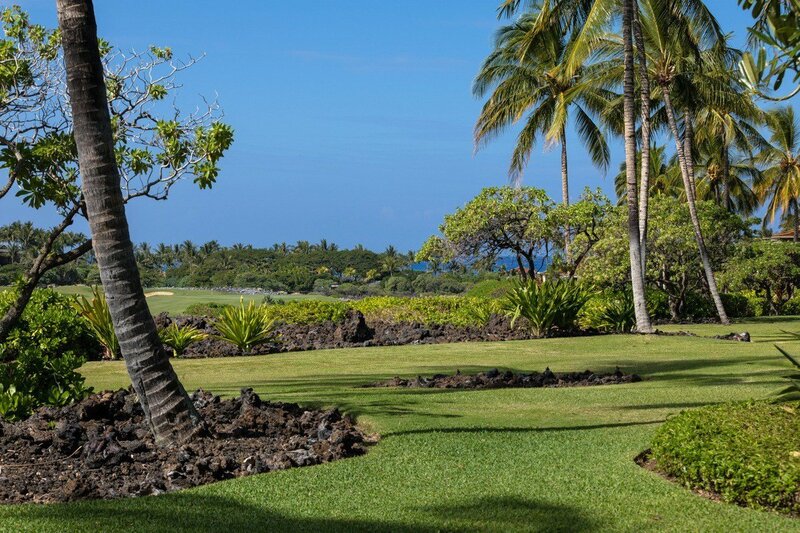 A recreational pool area is located a short walk from the villa and the Members’ only Hualalai Canoe Club is just down the street. 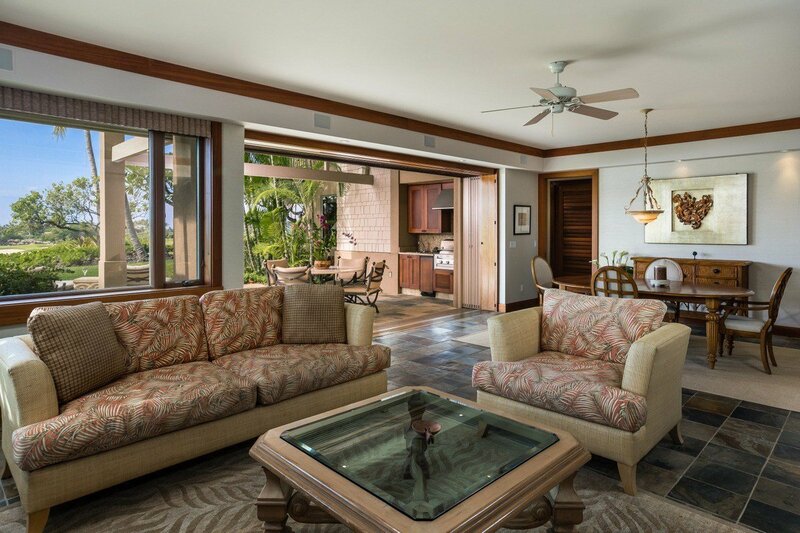 A short golf cart ride also takes you to the Ke‘olu Clubhouse and all of the Four Seasons Resort amenities.